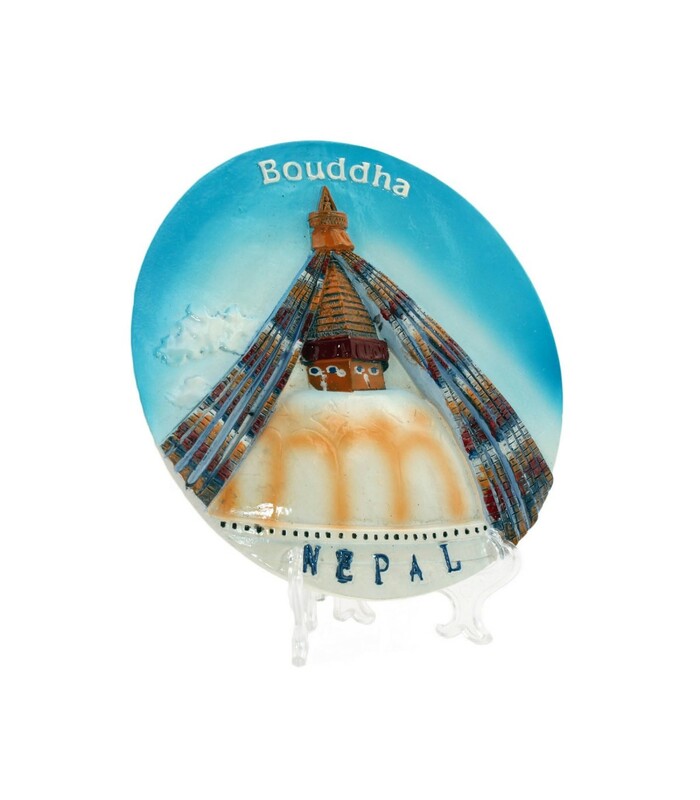 This round shaped plate with 3 dimensional Bouddhanath stupa is made from ceramic. 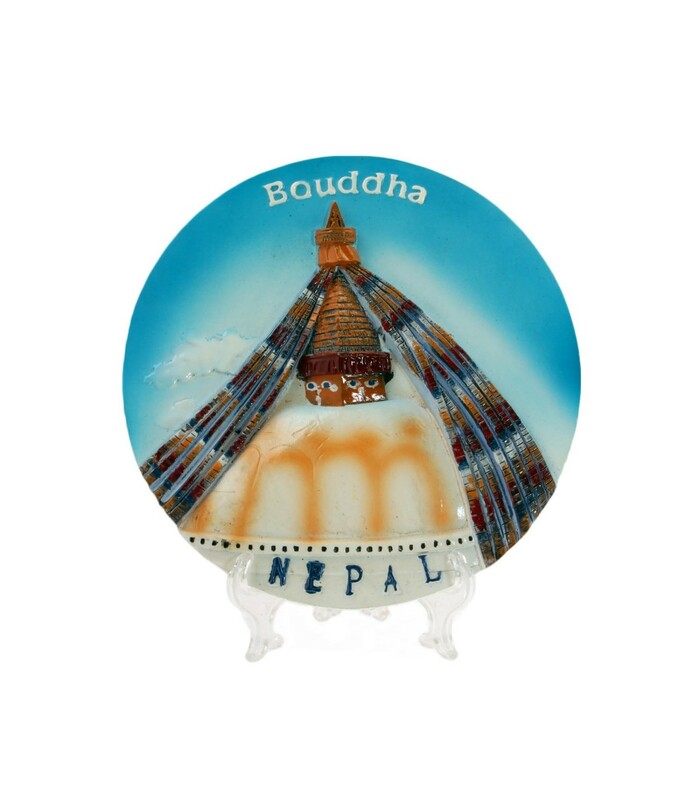 It is a perfect souvenir art from Nepal. 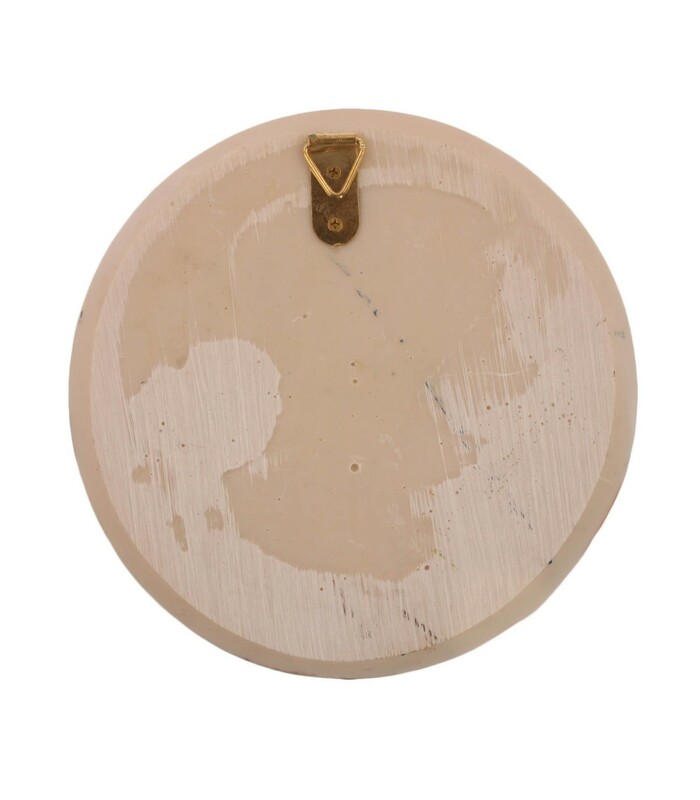 It has a translucent stand to place on table and also has a brass loop to hang on the wall. It can also be presented as a gift.